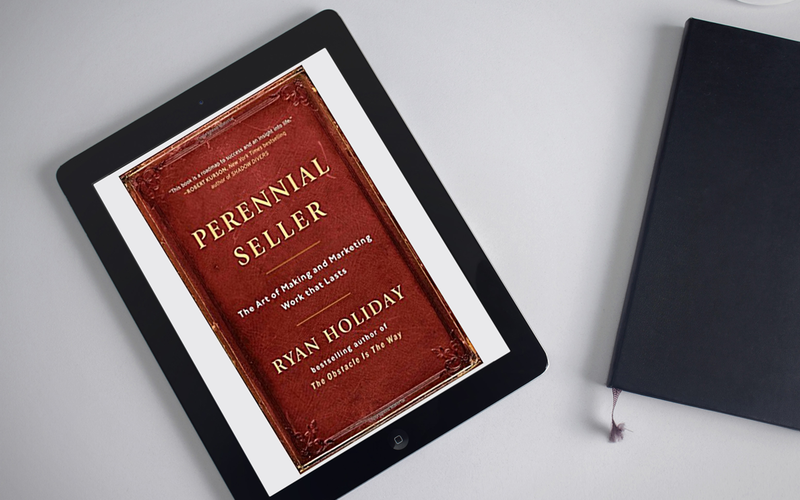 Perennial Seller: The Art of Making and Marketing Work that Lasts, by Ryan Holiday. This is an excellent book! In it, Holiday lays out the case that creating great products, services, art and especially books is not just the first crucial step in success, but that the ongoing marketing is even more important. This may seem controversial as many artists, writers, and inventors expect to simply create and then have the world beat a path to their door. This is the rare exception. The rest of the masses must accept that they are going to have to hustle, persist, and bottom-line market themselves. This isn’t easy for most people to hear but it’s the truth. In the book, he shares several examples of hugely successful people that had to go far above and beyond to get their message seen, recognized, and most importantly sold.